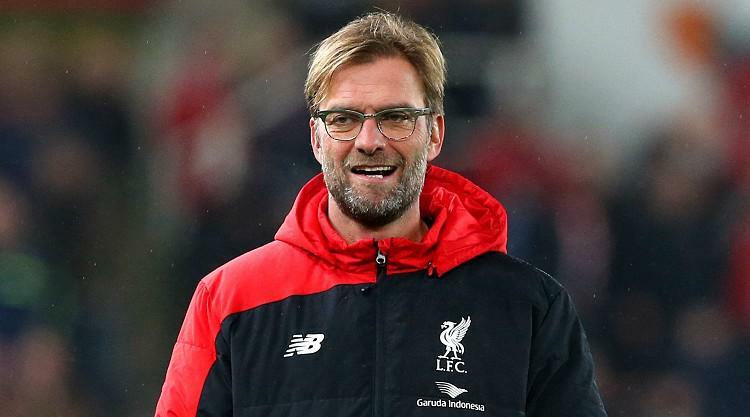 Liverpool manager Jurgen Klopp hailed the 5-0 win over Swansea as the 'perfect result'. A superb sixth-minute strike from Philippe Coutinho on his 200th appearance for the club was followed after the break by two from compatriot Roberto Firmino either side of academy youngster Trent Alexander-Arnold's first Anfield goal. Alex Oxlade-Chamberlain completed the rout eight minutes from time to take Liverpool back into the top four, having been overtaken earlier in the day by Tottenham, who also scored five at home to Southampton. "It is a perfect result for us, nobody injured I don't think," said Klopp. "Important three points, five goals, clean sheet so it's all good. "It was really hard work, I've no problem with that. I'm really happy with what we learned from the game. "We had, even in a not really good first half, we had enough chances to score two or three goals. That should be enough. "I was not disappointed at half-time but we had to defend the situations better, we had to be more compact and in a few moments we were man-orientated, which is only allowed in our own box. "In the second half we were better. I think the first three goals were from counter-pressing situations, that's good and it looks like when you see the result is 5-0 that it was an easy game but it wasn't an easy game." Rudderless Swansea are bottom of the Premier League, five points from safety with just two wins in the last 19 league matches and still looking for a new manager having sacked Paul Clement a week ago. Whoever takes on the job - and there appears to be no immediate appointment pending - has a tough task turning things around. In the interim it has been left to caretaker Leon Britton to try to stablise a sinking ship. "I haven't spoken to the chairman since Christmas Eve because I have been involved in the game but as far as I am aware I will be in charge for training and for the Watford game," he said. "We have all been in situations when you face a difficult situation and you have to remained focused, be professional and to be honest I didn't see that out there at times. "We made a lot of mistakes, some really basic errors, and against a side with the quality of Liverpool then you are going to be punished. "At a place like this you need a seven to eight out of 10 performance from everyone to get any sort of result but when you are making mistakes that are at academy level then they are going to punish you."